What colour glass should I use? How thick should the glass be? The glass should always be clear so that you can distinguish the true colour of the wine. Experts say that wine tastes better when drunk from glasses that are made from very thin, fine crystal. These glasses cost a lot more than normal glasses. 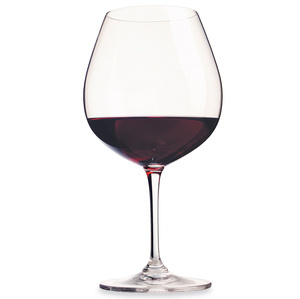 Red wines - minimum 350ml but best glasses are in the range 475ml to 700ml. White wines - minimum 300 to 350ml. Sherry glasses and desert wine glasses are smaller because they have strong aromas and are drunk in smaller quantities. These glasses are usually 120ml. There are three parts to a wine glass - the bowl, stem, and foot. It is important that you hold the glass by the stem. The temperature of the wine is not affected when holding the glass by the stem as it is not in direct contact with the wine. If you hold the glass by the bowl then you will heat the wine as the bowl is in direct contact with the wine. Also holding the bowl will leave fingerprints that can make it difficult to judge the clarity and colour of the wine. 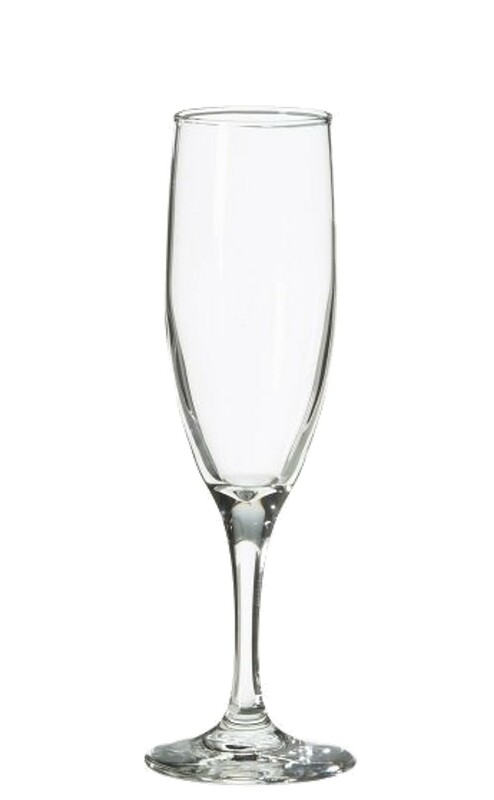 Tulip shaped glasses are ideal for sparkling wine. The glass is tall, elongated and narrower at the rim. This shape helps hold the bubbles longer. 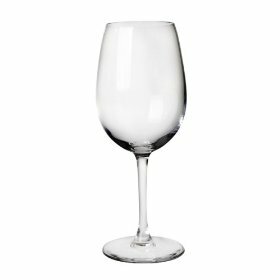 Tulip Glasses are also ideal for white wines. The glass has a small surface area (compared to red wine glasses) which means there is less air circulating around the glass, warming the wine. The smaller bowl means less contact between the hand and the glass so heat from your hand does not transfer easily to the wine. Another good sparkling wine glass is the Champagne Flute . Some types are not as good as the Tulip shaped glass as they dont narrow at the top. 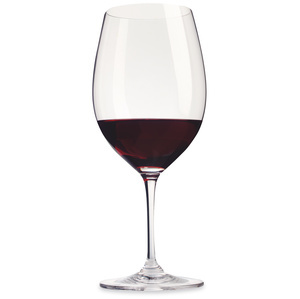 The Bordeaux Glass is ideal for many red wines. It is tall with a broad bowl, designed for full bodied red wines.The shape of the bowl controls the flow of the wine onto your tongue and direct it to the back of the mouth. The wide round bowl allows the wine to breathe. The Burgundy Glass is broader than the Bordeaux glass. The bowl is larger to accumulate aromas of more delicate red wines. This shape of this glass directs wine to the tip of the tongue. Washing up liquids and detergents can leave a soapy residue on your glasses that can affect the aroma and flavour of the wine. Clean your glasses by hand using washing ir baking soda. This wont leave any soapy film on your glasses.